We were in a lake in Sweden, near Lulea, waiting for the sunset lights. The place didn't offer many possibilities so we turned our attention to details. Suddenly the clouds acquired the typical pink tone, and I noticed that were reflected in the water right behind a black plant stems. 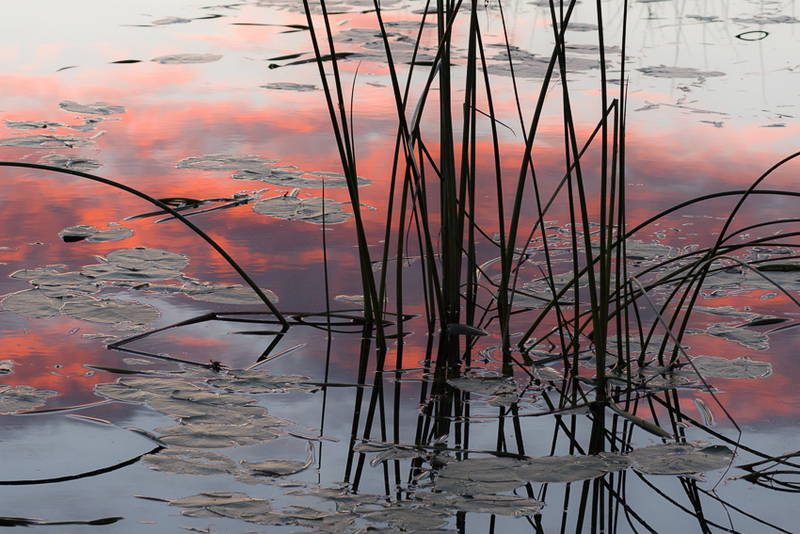 I chose a frame that would highlight the texture of the water, the colors of the clouds and the pattern formed by the stems, to make a simple image that reflected the stillness of the moment. I had to use a high aperture value for the desired depth of field, but the shutter speed could not be very slow because there was a slight breeze that could move the subject. Therefore I decided to raise the ISO, because this camera has excellent performance at high ISOs. 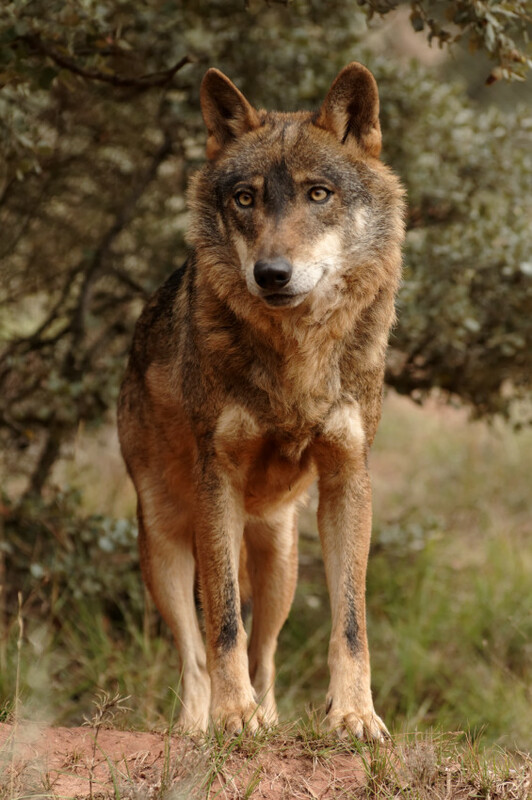 To see a wolf a few meters away is an unforgettable experience. In this case we were in a center for environmental education in Riopar, where you can see those animals. But one thing is watch outside the fence and another to get inside. Of course caregivers are keeping an eye on, because they are still wild animals. And when you come in they can accept you or not: if don't, then you have to leave quickly out. But they accepted us and we could enjoy those fascinating anmimales. 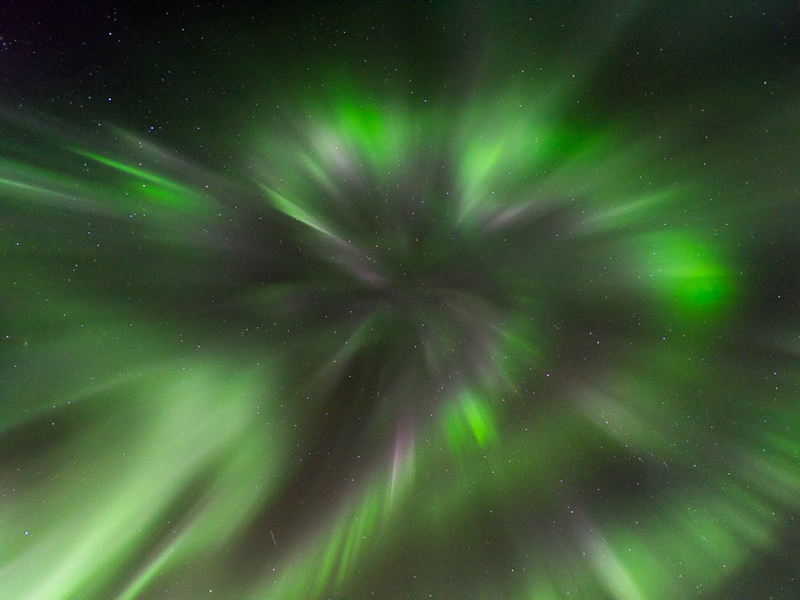 Undoubtedly, the auroras are the most mysterious spectacle that nature has to offer. One of the better places to observe them is Abisko, in northern Sweden. In September the weather is very stable and can be seen without having to endure the low temperatures of winter. This aurora was one of the most spectacular we've ever seen. This image reflects the moment when it began to "dance" just above our heads. It moved very quickly so we used an exposure time of only 2 ", with a fairly high ISO. It was like this so for at least 10 minutes, and then it took other more conventional forms. 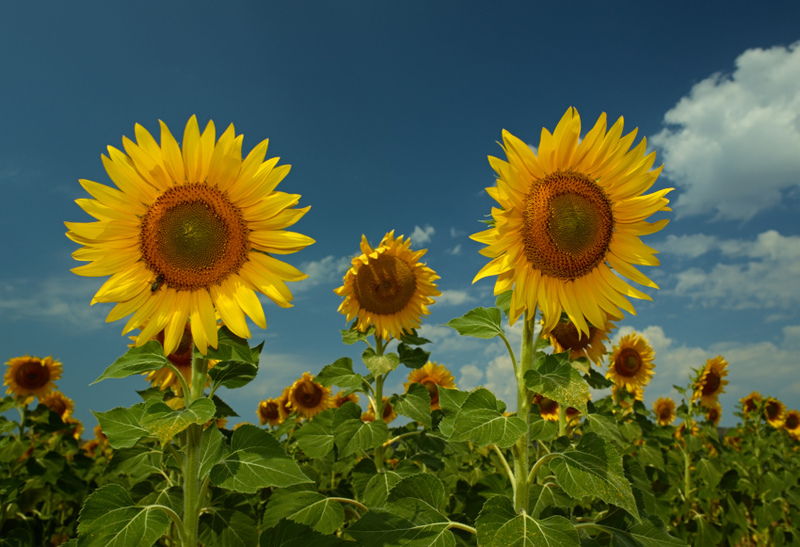 In August you can find beautiful sunflower fields in central Spain. This time is near Atienza, a hot and sunny day. I wanted to use a low angle to cut sunflowers on the blue sky, and I used a wide angle to not isolate them from their context, the field of sunflowers. I used fill-in flash to illuminate them. Sometimes nature presents original designs spontaneously. 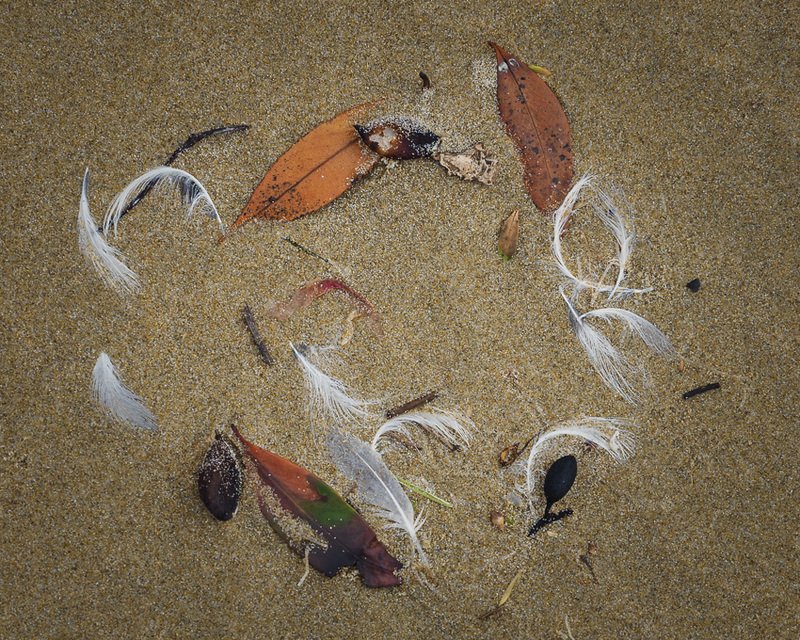 This time, we were walking along a remote beach on the south island of New Zealand when we saw this group of objects arranged in a circle on the sand. Without touching anything and carefully, we made this picture. One day in August we were in front of Mount Rainier to photograph the sunset, with reflections on a lake, but had no luck and did not get any special image. 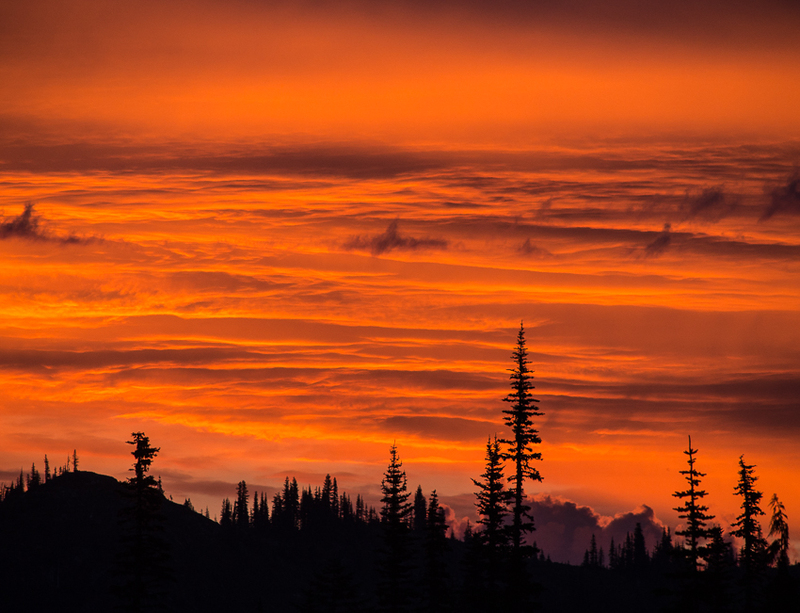 However, when we looked back thinking go to dinner, we saw this spectacular sky with clouds that fire red. That shows us that when light changes so fast, you have to look in all directions and not be obsessed with one preconceived image. 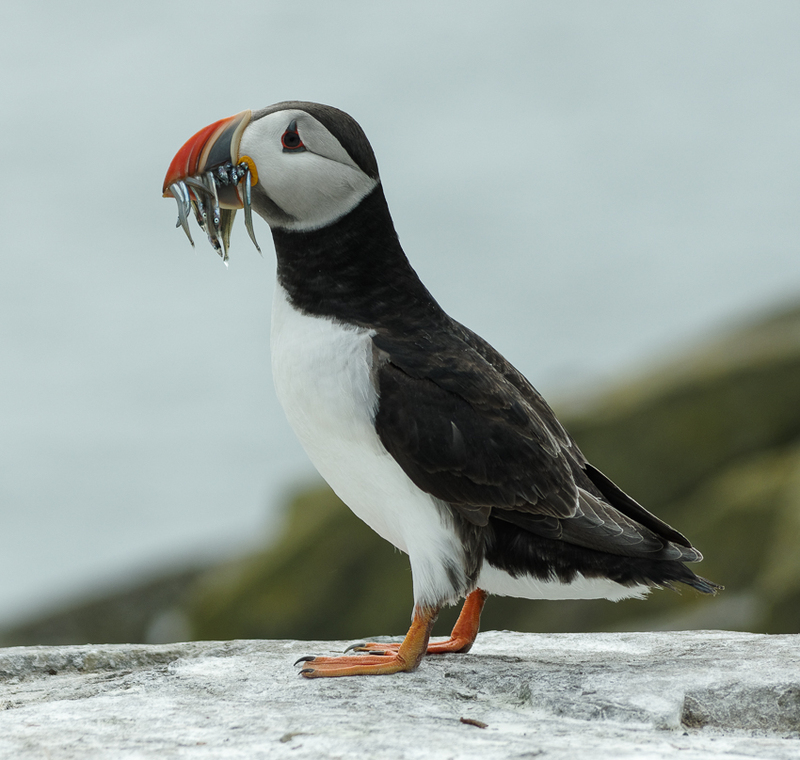 We have seen puffins many times in our travels but we had never seen them during breeding, with those small fish in its beak. So when FONAMAD told us that organized a trip to the Farne Islands in June to see them, we did not hesitate a minute. There were thousands of them, flying at full speed to get to their nests before the seagulls attack them to stole the food. This time there were no seagulls and we could photograph this one posing for us. 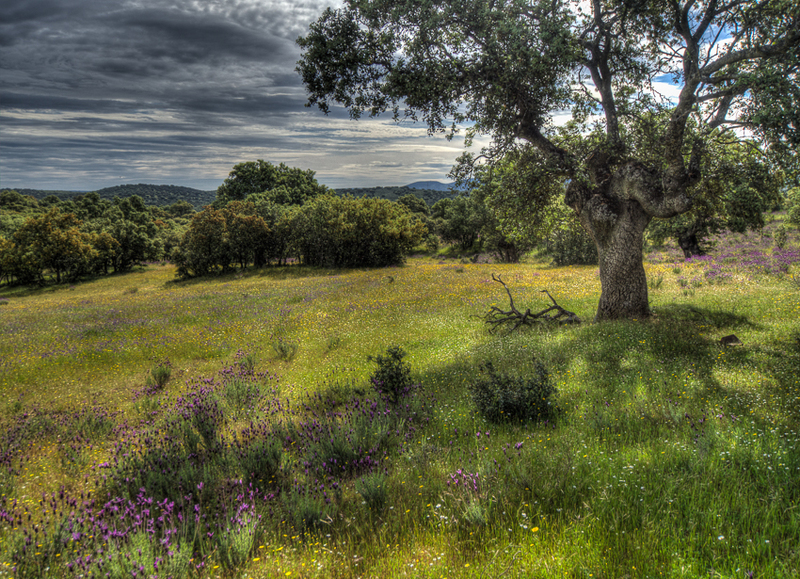 There are few places like Extremadura to enjoy the colors and scents of spring. This time we went to Cáceres to take some pictures of the meadows full of flowers, on a day with sunny spells. This scene had too much contrast so we took 3 photos with 1 EV difference between them, and we process them with Photomatrx Pro. 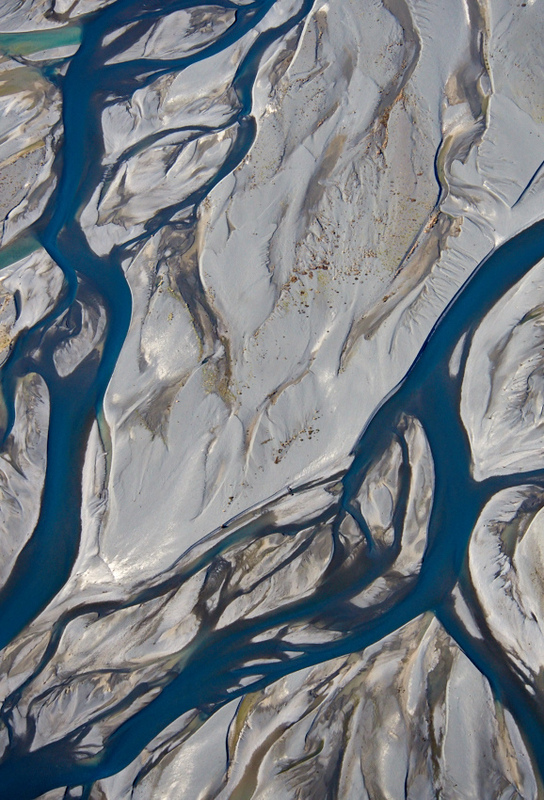 Flying over the course of rivers gives us many opportunities for abstract photographs. This time we flew over the PN of Mount Cook in New Zealand. This is one of the rivers that start from a glacier and end up in a huge lake with turquoise waters. Not always is necessary to go to faraway places to watch breathtaking natural scenes. 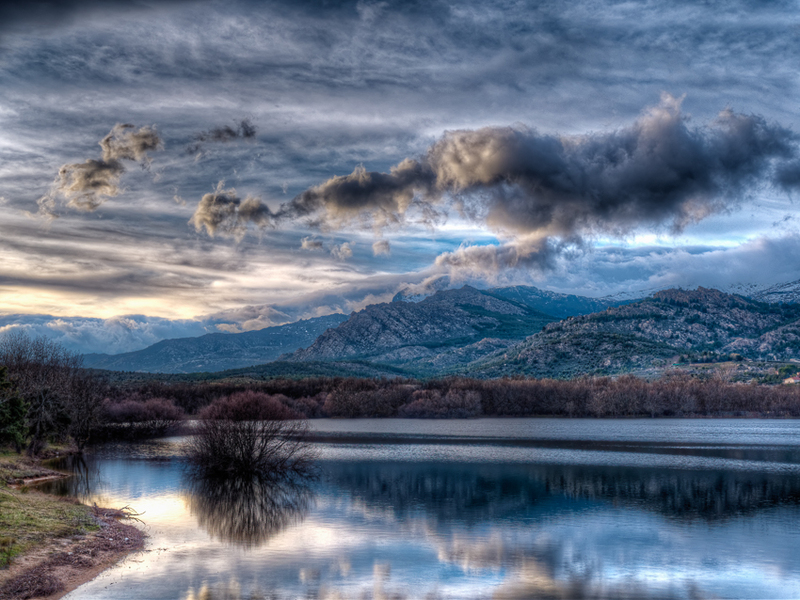 Here is a sunset on a reservoir near Madrid. We had no assurance that the sky was clear but went anyway if we could see something interesting. Since there were a lot of contrast between light and dark areas, I made 5 photos at a distance of 1 EV, then I processed them with Photomatix Pro. 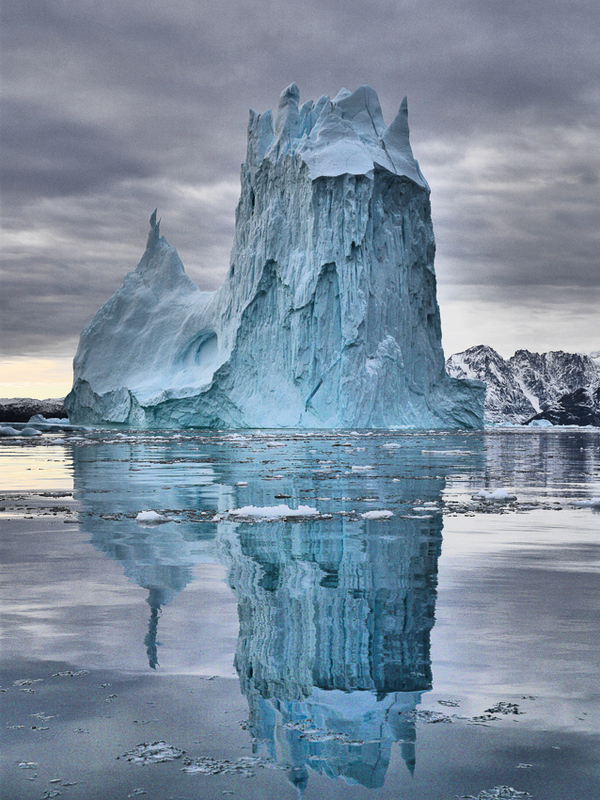 Sometimes the conditions are perfect for capturing a different image of an iceberg. In this case, while traveling in a Zodiak by a calm bay in Greenland, we saw this amazing iceberg, rising stunning against a cloudy sky, like a cathedral of ice. There is no reference to get an idea of its size but could have a freeboard of about 50m. 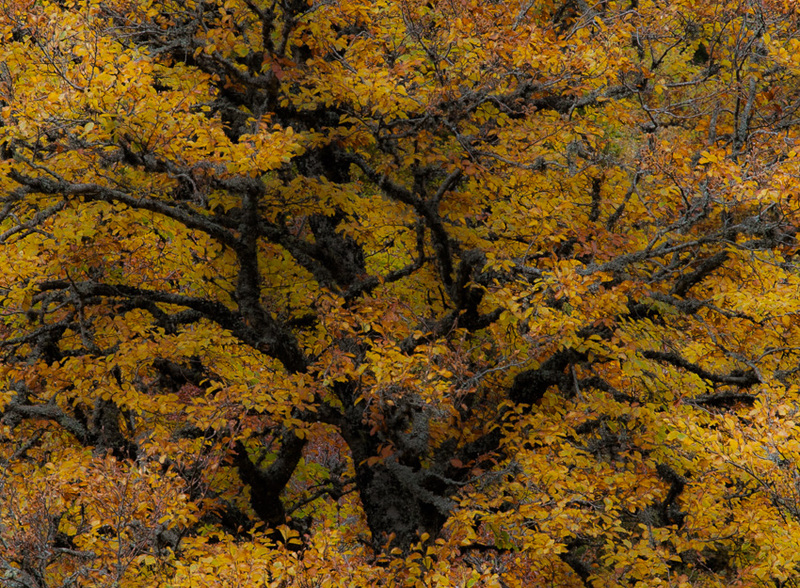 Autumn forests are fascinating, but very difficult to photograph. Here we focused on the dark shapes of the trunk and yellow leaves to compose a slightly more abstract, high-impact image.